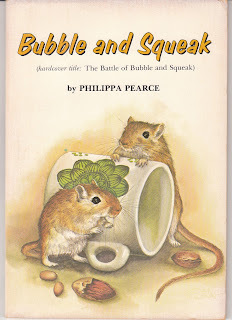 Bubble and Squeak by Philippa Pearce is a 1978 Scholastic paperback about gerbils. 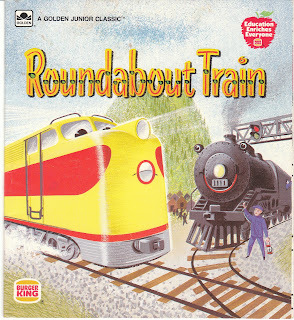 Roundabout Train by Betty Ren Wright is a little picture book distributed by Burger King. 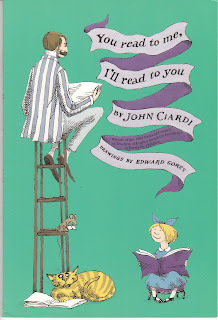 You Read To Me, I'll Read To You is a book of poems for children by John Ciardi -- illustrated by Edward Gorey. 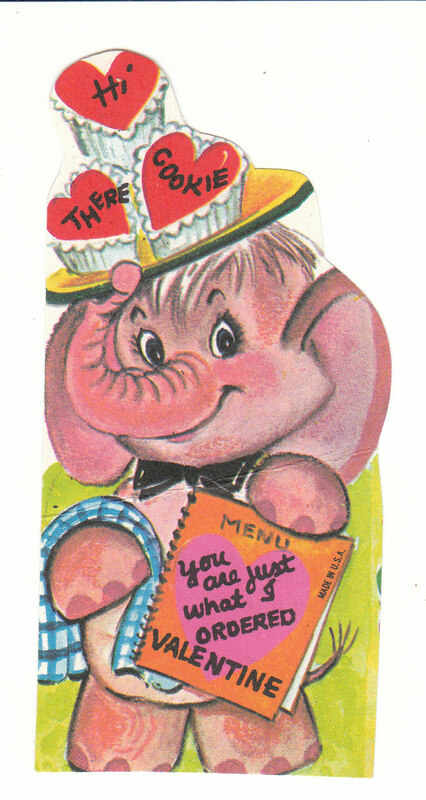 This cute vintage Valentine features a pink elephant who is dressed as a waiter. "Hi there cookie - you are just what I ordered Valentine." 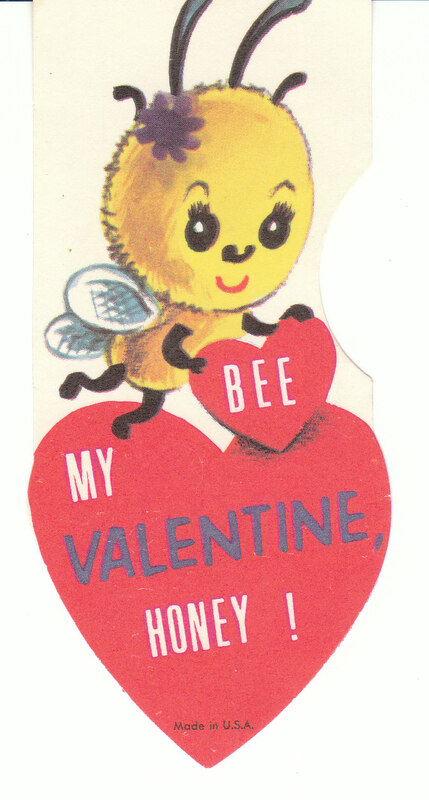 A little bee buzzes by in this vintage Valentine: "Be My Valentine, Honey!" 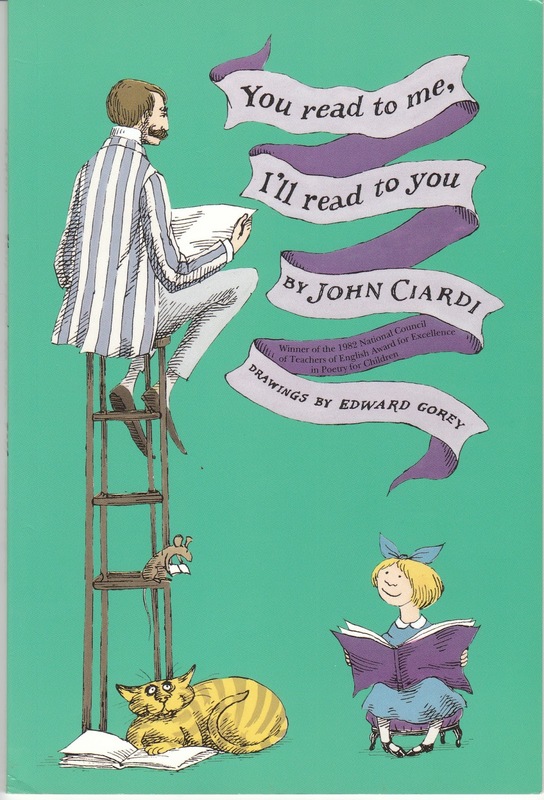 A little girl wears flowers in her hair and holds a sweet Siamese cat. 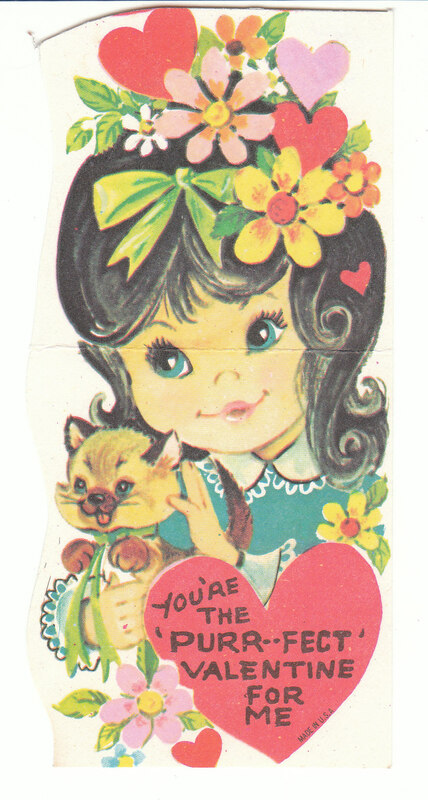 "You're the purr-fect Valentine for me." I would love to hear from you in the comments. 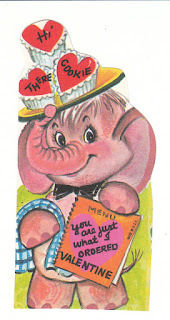 Wishing you a great weekend!